Green River is low. Fishing good at Warren Bridge. The Green is flowing at 114 cfs. At Warren Bridge, fishing remains good for browns and rainbows. 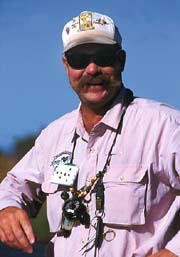 Trout are taking a variety of streamers like Big Horn Specials, Brown Woolly Buggers and Zuddlers in brown and olive. Most of the Brown's are through with their spawn and are feeding well. The lakes are turning on in the area with the big Mack's coming into shallow water for their annual spawn. Launching a boat is tough, but you can access the lakes with a small boat or a pontoon. I like fishing Decivers in brown and white or green and white for the Macks. Our season of open water will be over soon but the ice fishing is just around the corner! The Hatch Report is provided to Pinedale Online by Two Rivers Emporium LLC in Pinedale, Wyoming. Two Rivers Emporium LLC, an authorized Orvis dealer, is owned and operated by John Ross, a professional guide with over 20 years experience. Two Rivers Emporium LLCfloats areas of the Green and New Fork Rivers from Green River Lakes to Flaming Gorge Reservoir in Western Wyoming. They also have private property access that offers good cutthroat and rainbow trout fishing. This report is updated weekly through the fishing season and can be heard on Pinedale's KPIN Radio as well as found on John's web site, www.2rivers.net.